The Disney classic movie Mulan, which premiered in 1998, has gotten its inspiration from a Chinese legend named Hua Mulan. In this Chinese story, Mulan donned the armor of his father to take his place as a warrior. There was a war in the country at that time, and his father was drafted to become a soldier. Though he was old, he wanted to fight to serve his country and avoid facing dishonor. Mulan feared for his father’s safety due to his age, which prompted her to hide her true identity and take his place. This element was captured and represented well in the animated movie, making Mulan a very popular female character. 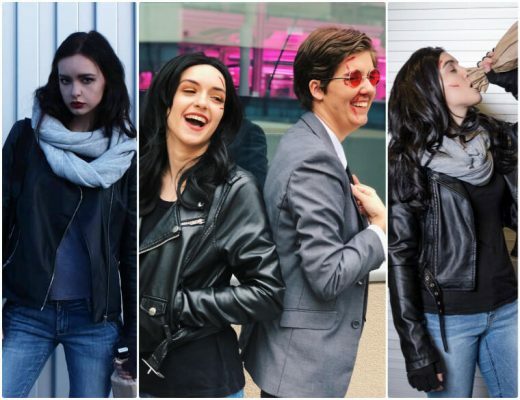 It also made her one of the popular choices for women to dress up in during costume parties, comic cons, or photoshoots. There are area lot of options to dressing up as Mulan, as she has worn a variety of outfit throughout the movie. But her most notable and recognized outfit is a simple Hanfu (Chinese dress) that she wore a lot and is also used in the promotional dress of the first movie. Hua Mulan’s story is a great inspiration for lots of women, as she was able to show how courageous and brave women can be when they need to. Her story and bravery became even more well-known after the hit Disney movie Mulan. 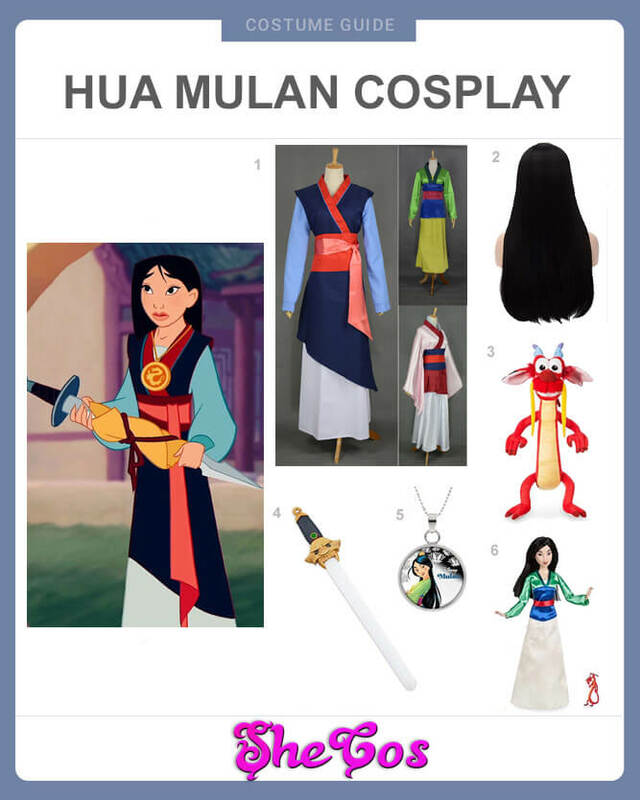 That is why the Disney character Mulan is a popular choice to cosplay in. For this cosplay set, you’ll get Mulan’s recognizable Hanfu (Chinese dress). It’s a long white dress with light blue long sleeves. On top of it is a dark sleeveless shirt with red linings with a red band around the waist. This outfit is available in 3 colors (the other one is a yellow dress with green sleeves, and the other is a white dress). The Mulan cosplay also comes with a long black wig and a light-up sword. You may also need the Mulan necklace, plush Mushu doll and doll version of Mulan. The Chinese legend of Hua Mulan is beloved folklore in China, having inspired generations of people already. Though a lot of scholars are saying that the legend is not from a real woman, it still didn’t stop people from being amazed and stirred by Mulan’s courage and bravery. But aside from her inspiring story, another good thing about dressing up as Mulan for a photoshoot or costume party is her flexibility. 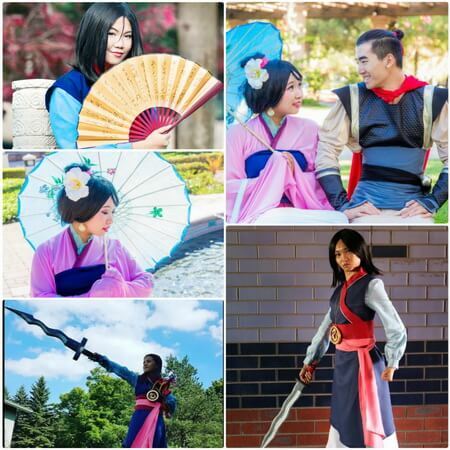 If you look at the cosplay photos, cosplaying as Mulan wearing her Hanfu allows you to portray different sides of the character. You can portray her as a lovely and pretty woman, just trying to establish her place in the world and find her true love. You can also portray Mulan as the brave and courageous warrior that defeated the enemy Huns. What you need to be Mulan is a fierce face and her sword. 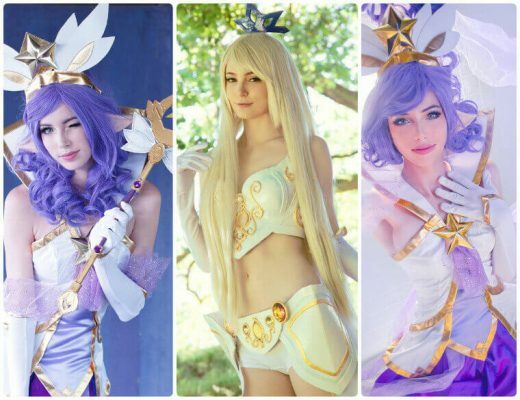 Follow me to get the latest post! 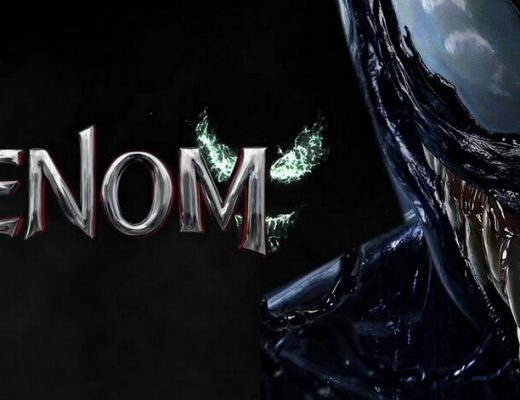 COPYRIGHT 2019 SHECOS CORPORATION ALL RIGHTS RESERVED.